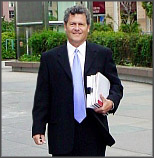 For over 20 years, Steve Fisher Deposition Summaries has been considered by many to be the premier deposition summary service in the Los Angeles area. Since arriving online in 2000, we have provided law firms nationwide with the same high quality, cost effective service our local clients have come to expect. We specialize in producing summaries that are comprehensive, accurate, and easy to read regardless of the complexity of the subject matter. All summaries are written in complete sentences, with no abbreviations or contractions, and include page/line references, topic headings and a table of contents. Over the years we have summarized thousands of depositions in all types of civil cases, ranging from medical malpractice, personal injury and construction to employment, insurance, and intellectual property. Steve Fisher Deposition Summaries has a proven track record of excellence, efficiency and reliability. We consistently maintain the highest possible standards of quality while offering a less costly alternative to preparing summaries in-house. We take pride in our work and consider anything less than perfect to be unacceptable. If you are in the discovery phase of a case or preparing for trial and need thorough, well written deposition summaries of unequaled caliber, contact Steve Fisher Deposition Summaries today. Our phone number is 818 257-1464.